Azo Materials - Three-dimensional (3D) printing has gained traction in recent years and is now used across a wide range of industries for the quick and easy fabrication of complex materials. 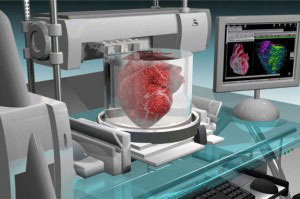 3D printing is now set to revolutionise the medical industry, especially in regenerative medicine, as it enables cells, tissues and organs to be printed on demand. These biological components are traditionally cultured for long periods of time, using various gaseous and chemical environments so that they grow.